After the devastating 7.8 magnitude earthquake happened on 25th April and many aftershocks later, GCBS Lomonthang building was also severely damaged forming cracks in the walls and roof of the building causing some necessary repairs immediately. Considering this trouble, the Founder Principal of this school Lama Ngawang Kunga Bista has taken prompt and wise decision to build separate school rooms as a replacement of the first floor of this affected building extending the rooms inwards in the ground reusing possible materials from it. Along with the construction of school rooms, a ‘Cultural Hall’ was also necessary to construct to perform different academic and extra-activities for the school and for the community. If all these construction works are not completed within this summer, it will definitely affect the learning of our students also for the coming session in Lo-monthang. Therefore, all the works related with repair and constructions have been necessarily to be completed as early as possible within this summer. Our Founder Principal Lama Ngawang has constantly worked himself from last three months to complete these works and now we have been able to present our supporters and well wishers the report of completion. We are very grateful and feel very proud for the support what we have received from Himalaya’s Children foundation to renovate for earthquake damages. We thank by heart for such a kind and needful support made from Stiftung Himalaya’s Children Foundation. 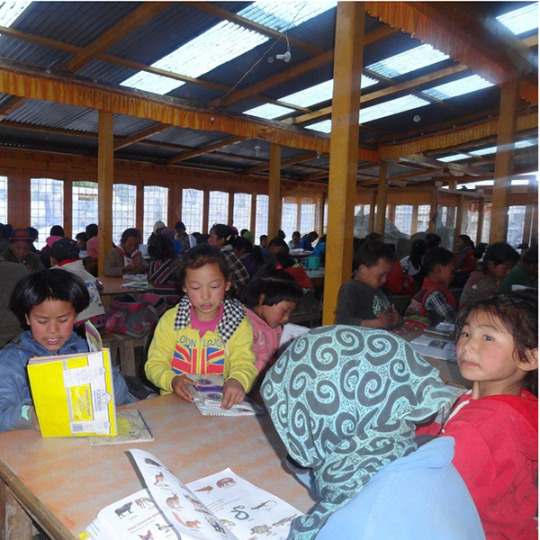 We heartily request for the foundation Himalaya’s Children and all our well-wishers to support on remaining budget on renovation and construction made from GCBS Lomonthang after the dreadful earthquake kindly. 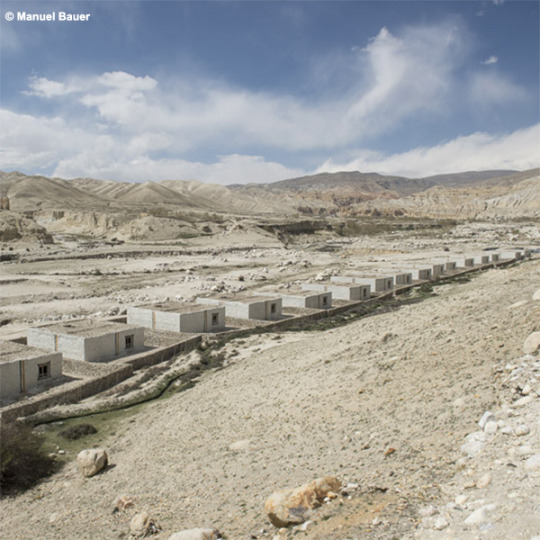 People of Mustang are forced to migrate from their native land because of the impacts of climate change. In the village of Samzong springs have dried out and grass has stopped growing in the grazing lands. Consequently, agriculture and livestock rearing have suffered. 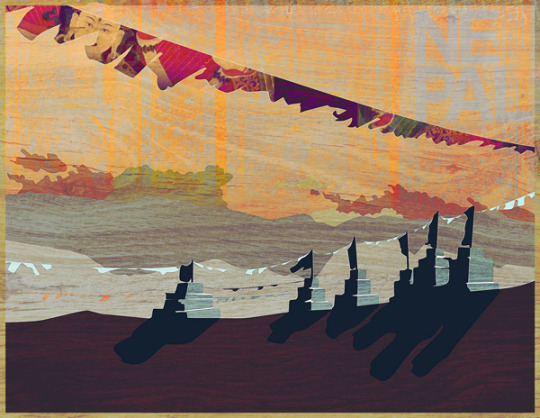 The villagers complained that with their main sources of livelihood in jeopardy, they had no option but to leave. After two years of planning and a lot of work, 18 houses were built and finally handed over to the villagers. However, the journey for Samzong goes on. Because of the unexpected success of the appeal for donations, associated measures can be put into practice (e.g. an irrigation channel, measures against flooding, etc.). Donations for these new projects are still very welcome. 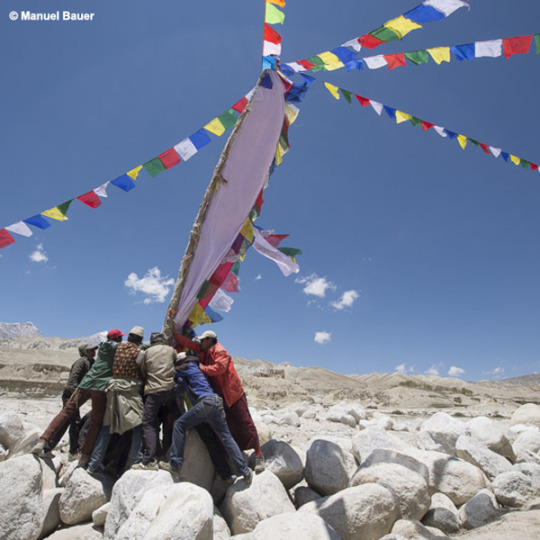 Read more about Samzong on Manuel Bauer’s website (German only). In Nepal, the relocation project has also been noted and the Nepali Times has just published an article about it (in English). The destructive natural calamity earthquake has harshly affected Nepal leaving an interminable sorrow to its people. It has made a deep impact in every sector of the nation, which may take decades to be recovered. Great Compassion Boarding Schools’ founder/principal Lama Ngawang Kunga Bista and the chairperson of Himalaya’s Children foundation Switzerland, Mrs. Elisabeth Erne had a discussion about the mode of support they could offer. A help to those children’s education from the families of earthquake victims who have lost their parents (one or both) would be a real, productive and long-term support was the conclusion. Therefore, GCBS has launched a program to educate those orphans who have lost their fortune of having parents due to earthquake. GCBS will offer for 20 such primary children from their current grades up to bachelor level education in free of cost associating them together in its hostel. Donations will solely be used for this project, just as Himalaya’s Children always uses 100% of the funds for our assignments. Thank you to all participants and to Sport Conrad for this wonderful campaign. 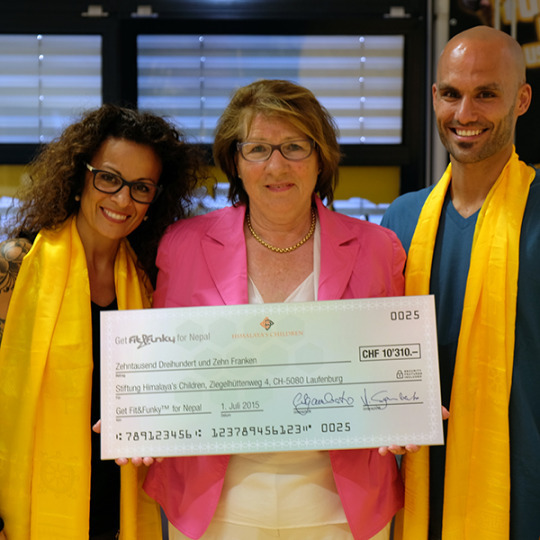 With much gratitude and joyousness did our founder Elisabeth Erne accept a check in the amount of CHF 10’310.—from Fit&Funky. The money was collected during the fundraising campaign “Get Fit&Funky™ for Nepal” for which many fit&funky members and friends were dancing, baking, crafting, organizing events and of course, making donations. 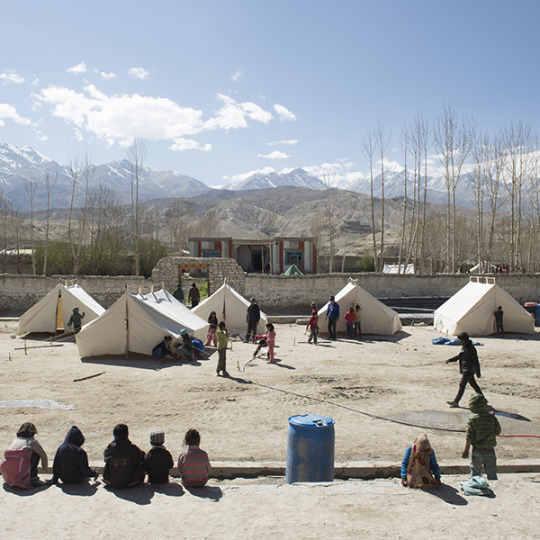 Himalaya’s Children will use the donations where it’s needed most after the violent aftershocks: to build the new one-story school building and to support the orphans that were given a place to stay. Our heartfelt thanks to everyone who made this possible. Our longtime sponsor Sport Conrad is having a T-Shirt Design contest with all proceeds going to us! 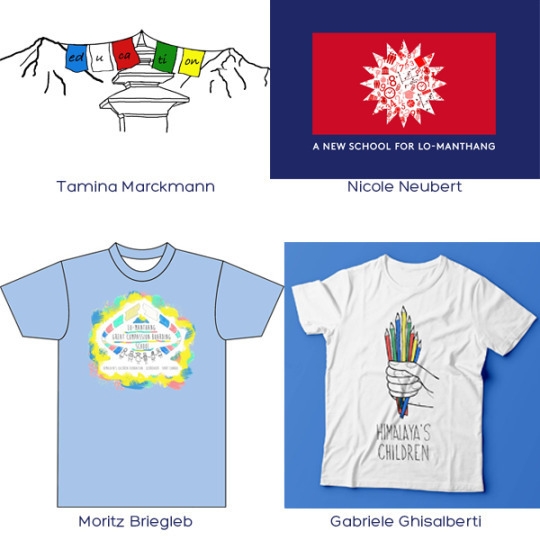 Join the contest and help raise money for our new dormitory! Good luck and A BIG THANK YOU to Sport Conrad. 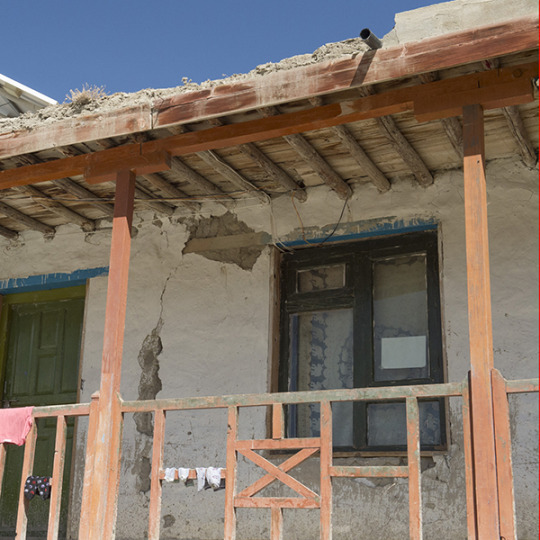 The violent aftershocks, which were particularly strong in Mustang, have done some significant damages on the Great Compassion Boarding School GCBS in Lo-Manthang. Many children are still traumatized, but some normality should return, as school has started at the beginning of May. 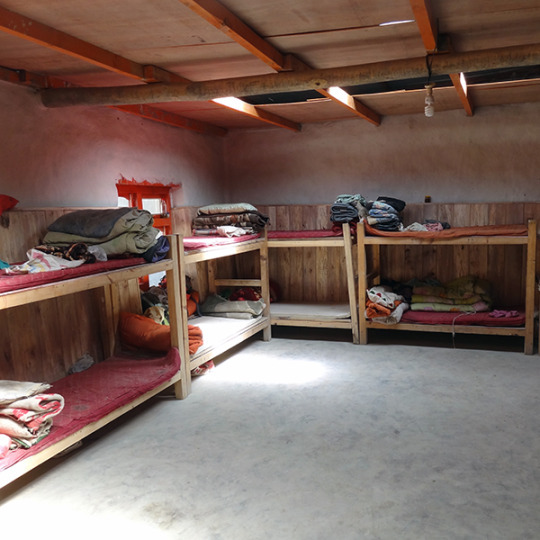 However, the children have to sleep in tents or one of the two small adjacent buildings, which are normally used as a library and recreation room. This is, by no means, a satisfactory resolution and therefore Lama Ngawang has decided to dismantle the first floor, which is where the students used to sleep. His intention is to build a new one-story house, as one-story houses are less vulnerable to be damaged by earthquakes. The matter of expense for this project summarizes to CHF 20’500. If you would like to support us, please use our donor form and leave a remark “Earthquake Damages”: Link to the donor form. 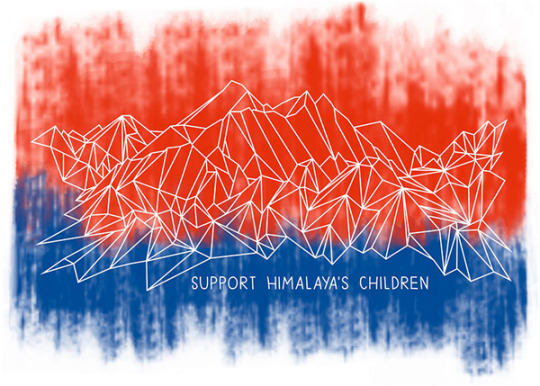 Everybody at Himalaya’s Children and all friends and supporters are devastated about the tragic news and we send our deepest compassion to Nepal! Our thoughts and prayers are with you. Amongst this great tragedy, we are most grateful to have learned that all the members of the «Great Compassion Boarding School» family are fine and safe in Pokhara and Mustang. At GCBS in Lo-Manthang the damages from the first quake worsened and so it was decided to knock down the first floor (children’s bedrooms). Lama Ngawang and his team will build a new house as a replacement right next to the school. 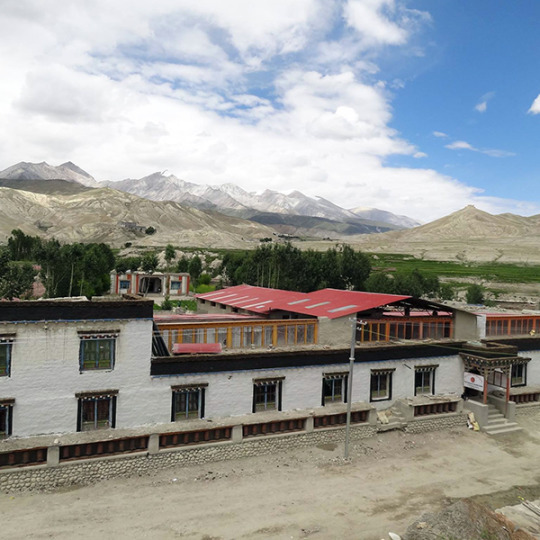 Also, Lama Ngawang and our foundation are engaging in accommodating as many earthquake orphans at the Great Compassing Boarding School as possible.